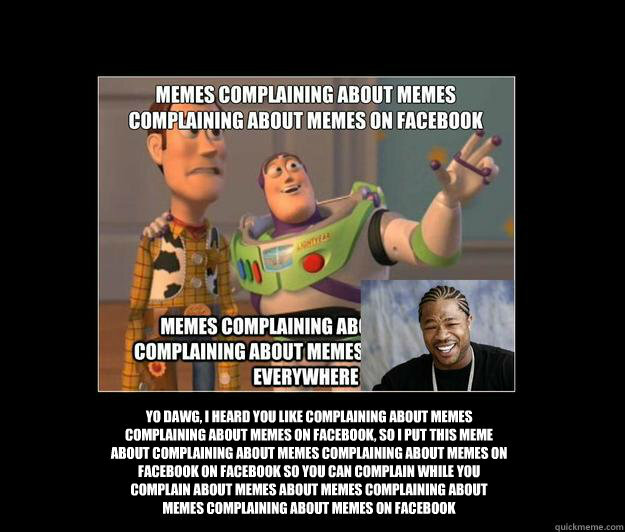 I love meta humor. I really do. I love it when a movie references itself in a way to make clear that we all know we’re watching a movie. It’s probably because I don’t like anyone or anything to take anything too seriously. The Muppets never take themselves seriously – because…muppets! When I say meta, this is what I mean: This movie begins where the other movie left off. I don’t mean in a thematic way – or even in a plot way. I mean this movie starts at the second the last movie ends and moves on as if they just finished shooting that movie and now are shooting another one. They then make reference to the number of movies they’ve done and refer to the last movie several times – by saying “In the last movie…” I love this stuff. 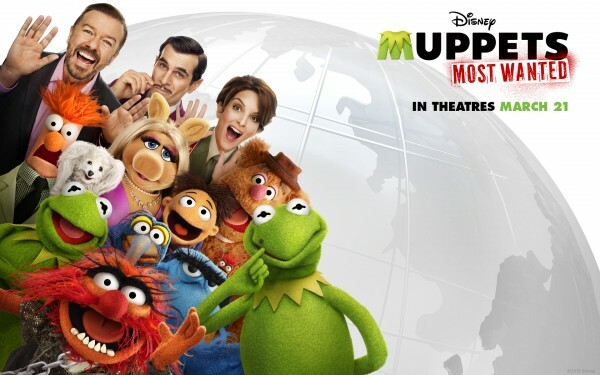 Since I grew up on Muppet movies and several lines from the movies have made their way into my family’s vernacular, I’m enjoying the fact that the Muppets know we’re all aware that this is the seventh (or eighth, depending upon how you count) muppet movie sequel. So right off, I love the humor in this movie. If you get this, then you get meta humor. sorry that was basically unrelated. The Story? Ohhhh the story! While I could just get lost telling you about all my favorite gags and cameos, what’s funny is that this probably has one of the more solid Muppet movie plots (aside from Muppet Christmas Carol and Muppet Treasure Island because they are based on classic literature.) In this story, after the success of the last Muppet movie the Muppets decide to go on a European tour. That’s when they’re approached by Ricky Gervais’ character, Dominic Badguy. He explains that the last name is french and it’s pronounced “Bajee.” He says he’ll manage their European tour and despite Kermit’s objections they decide to follow his lead. At the same time another frog named Constantine (that looks exactly like Kermit except for a small mole on his upper lip) escapes from a Russian prison and finds Kermit and replaces him. We soon discover that Dominic and Constantine are partners in crime and that the tour is a cover for a series of heists they’ve planned. The plot then splits into three. First off, you have Constantine and Dominic with the rest of the Muppets as they go on their tour. At first the muppets think that things are great as suddenly this new “Kermit” is letting them do whatever they want and it appears that they’re playing to sold-out crowds. Meanwhile, the real Kermit is stuck in the Russian Gulag, an all-star prison that has Tina Fey as the commandant as well as Ray Liota, Danny Trejo (as “Danny Trejo” – not “himself” I’m serious, look at the credits) and even a brief cameo from Tom Hiddleston. As they realize that Kermit is not Constantine Tina Fey decides to use Kermit’s skills to put on a show staring the prisoners. 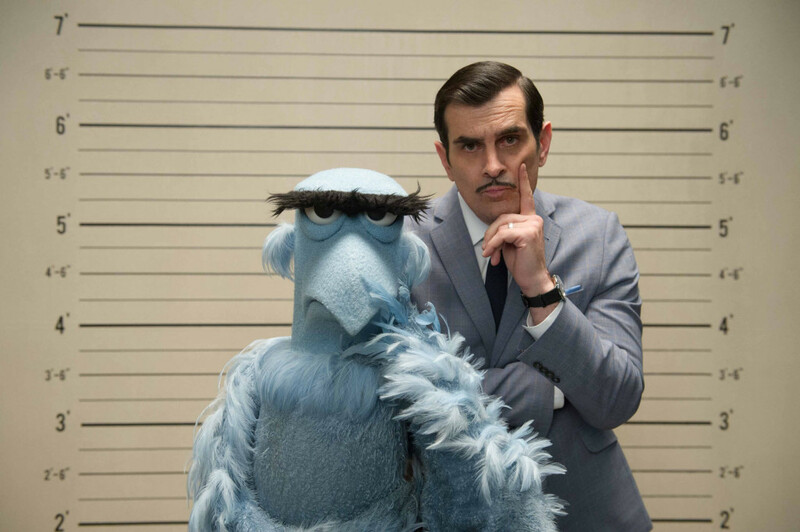 And finally we have the undercurrent of Interpol inspector Pierre Napoleon (played by Ty Burrell channeling Peter Sellers) and Sam Eagle searching for whomever is responsible for these heists – the mysterious thief known as “The Lemur,” who we know to be Dominic. As things unfold it becomes obvious that the gang doesn’t do so well without Kermit’s guidance and a few of them eventually grow suspicious of Constantine. Kermit manages to stage a breakout during the middle of the show he’s putting on in the Gulag while at the same time Sam Eagle and Pierre follow the evidence to Constantine and Dominic. You can see how the three plots converge around the same time and hilarity ensues. Listen, I won’t spoil all the good surprise cameos for you, but I will say that this Muppet movie probably has more cameos than any other Muppet movie so far. Some of them are so quick that you may not even notice them. Others are so poetic you’ll wonder why the joke hasn’t been made before. My favorite part of the cameos is that it shows me the people in hollywood who are willing to poke fun at themselves and play a bit part for the sake of a short joke. It shows you the power of comedy and the star power of the Muppets. Who else could get Sean “Puffy” Combs, Lady Gaga, or James McAvoy to show up for what I’m sure was a whole day just to shoot a bit joke. That’s pretty amazing. I don’t have to tell you that Tina Fey was awesome, because Tina Fey is going to be awesome in anything she does. I was a little worried when I saw that the human element in this movie would be filled out by Ty Burrell and Ricky Gervais. Mainly because I’m not a big fan of Ty Burrell and I think Ricky Gervais has all the appeal of a rusty spatula being shoved in one’s ear. But, despite my apprehensions, they were both perfect for their respective roles. Ty Burrell was lovely as the french detective who takes six hour lunch breaks whenever he feels like and an eight week vacation right before the case is solved – a rare cheap shot to europeans that I really enjoyed. Since Ricky Gervais plays the very overt bad guy in this one we’re never supposed to like him, so I actually found it easier to enjoy his performance. Having the added benefit of the Disney-friendly script that comes with any Muppet movie, was helpful in this measure too. As far as all that goes, I’d say that you needn’t worry about this being an issue for your kids. There aren’t any objectionable jokes and really not any scary moments. Even at a few moments where you’d expect it to get scary it immediately backs off and becomes funny again. It’s just a fun ride. I wouldn’t have any qualms about my six-year old nephews seeing it. The only down side is that – like all Muppet movies – kids won’t be able to appreciate the brilliance of much of the humor. It’ll be funny to them, but it’ll be funnier to their parents who are still young at heart. It’s great. Great fun, good story, good characters. If there was a weak side I’d say that the music wasn’t as good as it has been in the previous Muppet movies, but that’s a tall order since in the eight (or nine) muppet movies they’ve made now there have been some outstanding musical numbers. The previous offering, the Muppets, even had a contender for best song at the Oscars. The songs, however were no less fun and with references to A Chorus Line and a cameo from a certain Canadian diva, the musical portion of the film is still very rich in its quality and humor. From a Christian perspective I thought it had some interesting points. The muppets let their leader, Kermit, be replaced by something totally different from Kermit and none of them stopped to look and see what had happened. They also thought they were happier because they were all getting to do what they wanted to do, but the show was a disaster and they eventually realize that without Kermit at the helm, their performances suffer. To me, this is a powerful illustration about who we let take the lead and how we all have to realize that we can’t always have our way, but if we’re willing to submit to God’s authority that we can end up getting something better: unity and community. So grab your family, grab your wife, grab your kids, and grab your husbands because you’re gonna want everyone to enjoy this one together. 5/5 stars, not because it’s the best movie ever, but because there plain ain’t nothing wrong with it. I agree wholeheartedly, Will! I have a special place in my heart for the Muppets brand of comedy. I think one of my favorite things was the power of a small black mole on a face and how that has the power to make a whole group of Muppets (and people) not see someone for who they really are. I think there is a great lesson for people of faith in that as well. We sometimes try to paint over our little black moles and pretend we are someone we aren’t. We can even fool a lot of people in the process, but eventually, we will be seen for who we really are by those who love us most.